Chettinad Cuisines are one of the eminent fare in Tamil Nadu.Chettinad curries are fiery and delicious with it’s freshly ground spice mix.It include lots of dried red chilies and many other whole spices roasted and powdered and then used in gravies.Chettinad chicken is one of the most famous among them.Today i’m sharing the egg version of this curry! 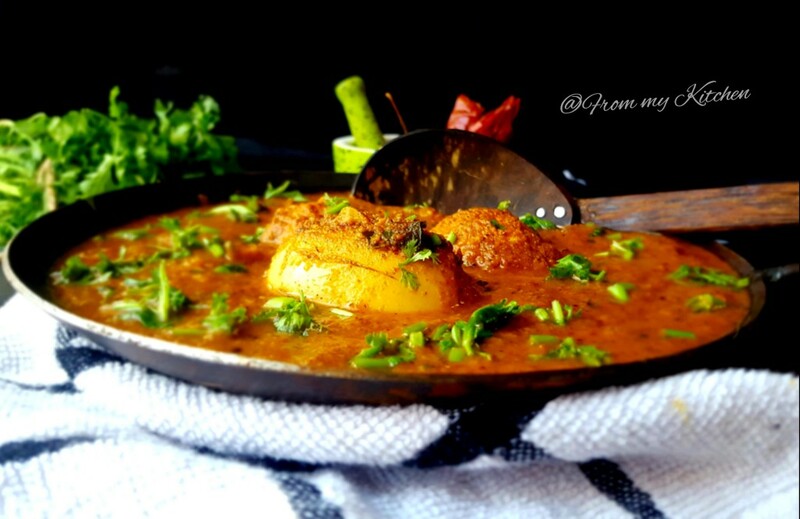 I simplified the process of making this yummy gravy without any compromise in it’s taste. 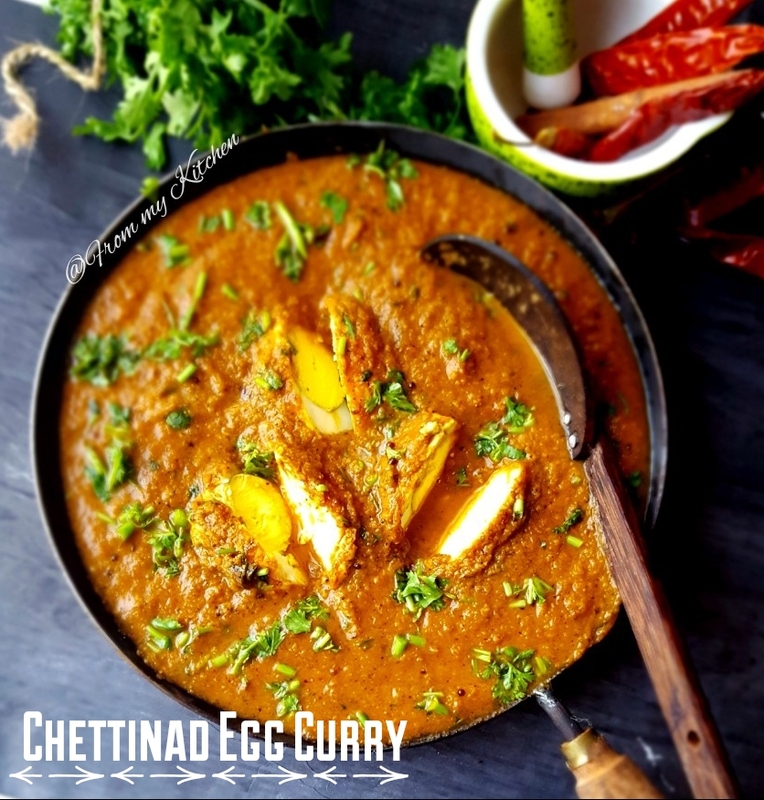 Chettinad Chicken is one of the favorite dish of my hubby,because of it’s spiciness and freshness.I paired it with rice crepes.This will be a great combination with idiyappam(string hoopers) or vellayapam too. 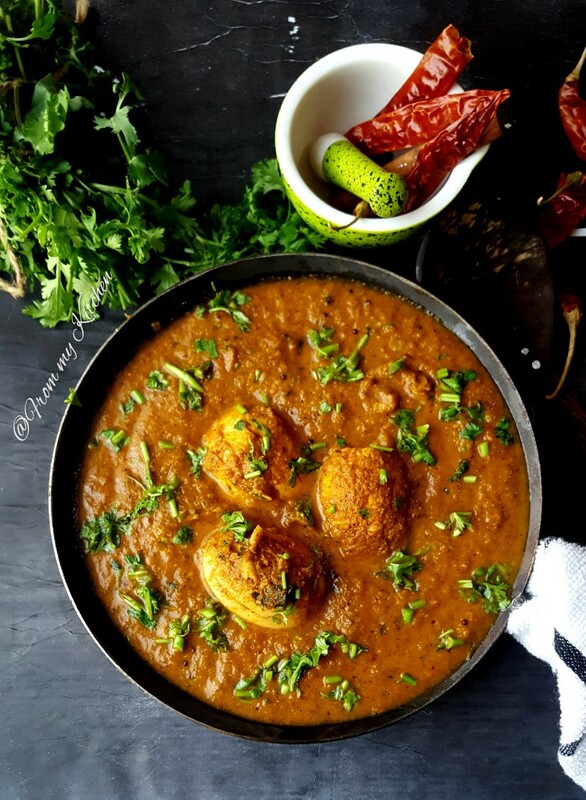 If you love spicy food you will love this one.Here i used fresh whole spices,roasted and powdered it and then used in gravy. Dry roast the whole spice mix,when its cool enough ground it to powder.You can store the leftover in an airtight container. 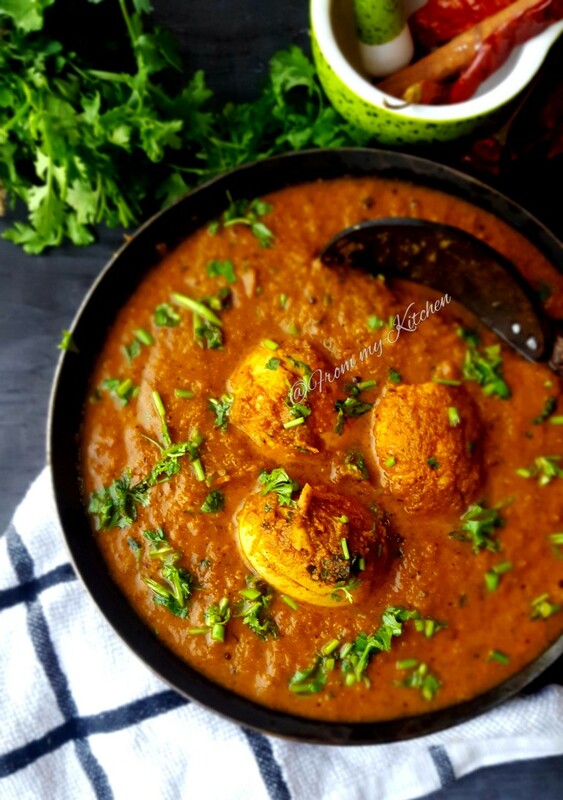 Put some slits on boiled egg and marinate it with a paste of chilly powder,salt and turmeric. 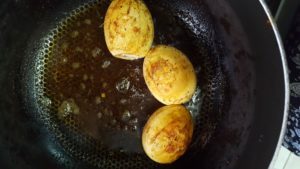 In a pan pour 2 tbsp oil and fry the eggs until golden brown or until nice crust is formed.Take out the eggs. 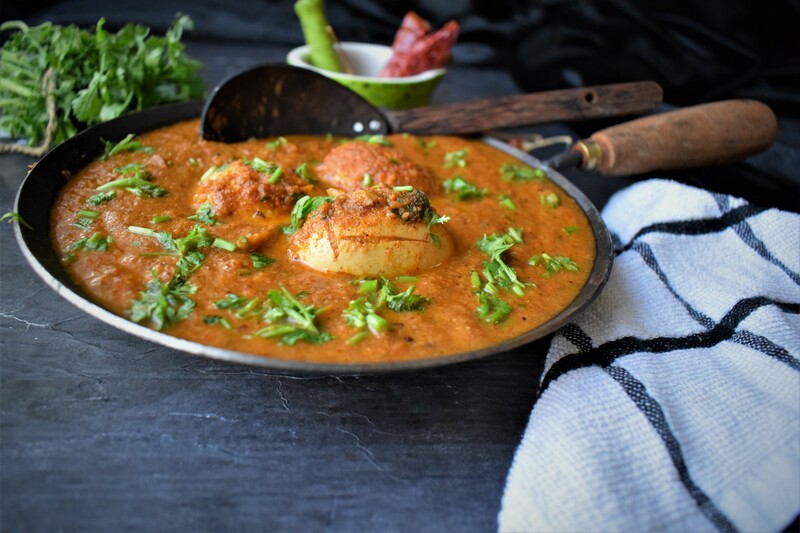 In the same pan add roughly chopped onion and tomato along with coconut.Cook it until the veggies are soft and lightly change its color. Remove it and make a paste out of it. 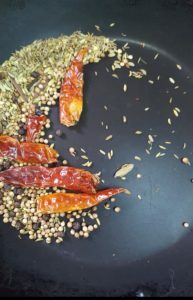 In the same pan pour a tbsp more oil,splutter mustard seeds and curry leaves. 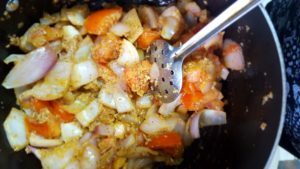 Now add the onion paste and mix well.Add salt,turmeric,chilly powder (optl) add 1/2 cup water and let it boil for 2 minutes. Pour water and let it simmer for 5 minutes. Add fried eggs and let it boil for 2 more minutes. Throw some finely chopped coriander leaves and switch off the flame. Relish it with your favorite rotis!